This is a premium module, available with Astra Pro. 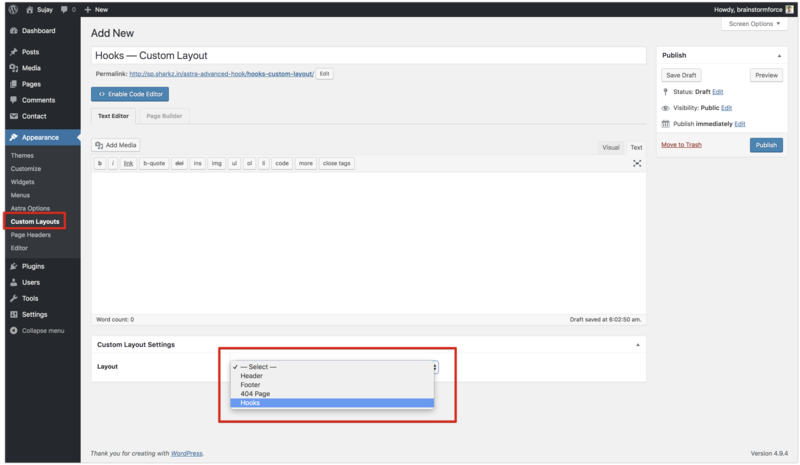 Custom Layouts is a very powerful module offered in Astra Pro. 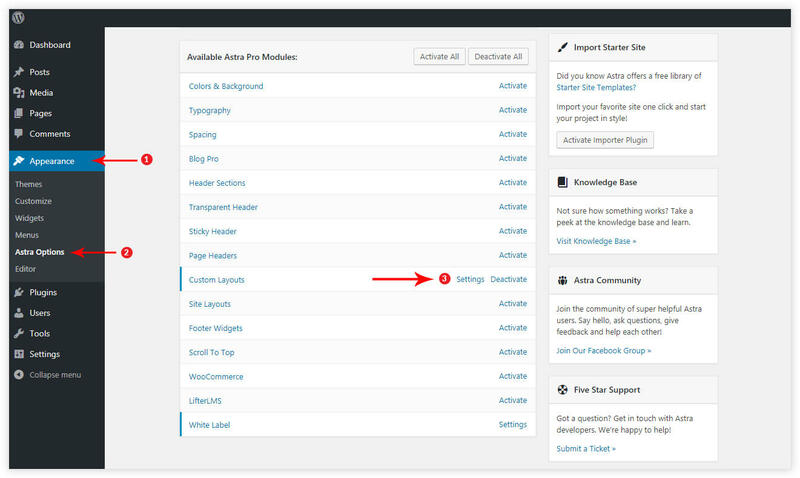 With this module, you can create totally custom header, footer, 404 page as well as as custom content or code on various hook locations. 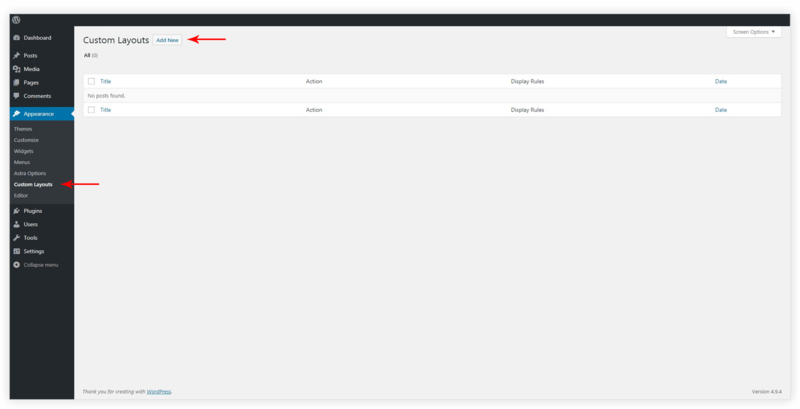 To get started, activate this module from Appearance > Astra Options > Custom Layouts. After activating a module click on Settings option to get started.